Everyone has both fixed and growth mindsets in certain aspects of their life. 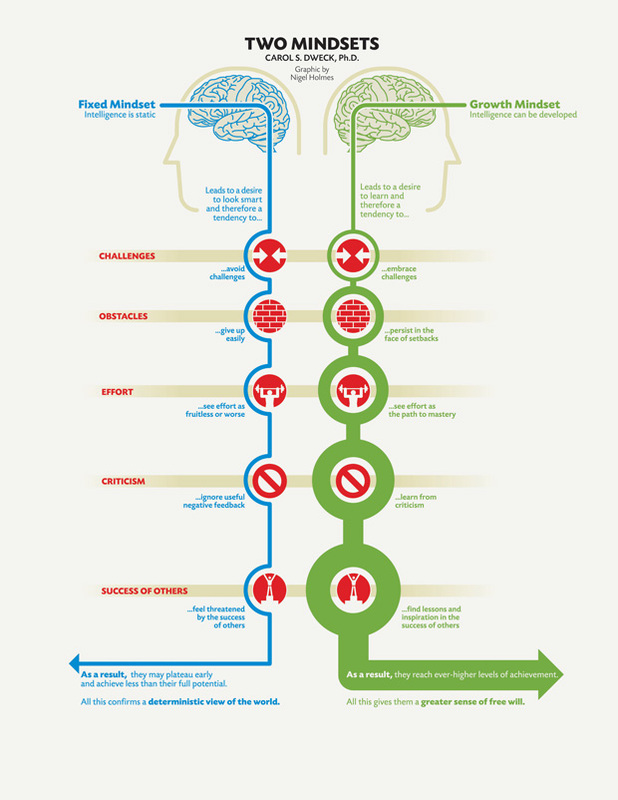 The interesting research in regards to fixed mindset show that people avoid challenges, want to give up quickly with obstacles, ignore feedback and criticism, and feel intimidated or threatened by the success of others. The goal of proving oneself requires confirmation of intelligence repeatedly, which often can be challenging for leaders to give to their employees. Stay tuned in for next week's blog on the Growth mindset and ways to build a growth mindset, if you notice yourself with a fixed mindset. What surprised you in learning about the Fixed Mindset? Please share in the comments. If you have specific questions, ask me. I'm happy to help. How Gritty are You in Business? Dweck, Carol S.. (2008) Mindset: The New Psychology of Success. New York: Ballantine Books.